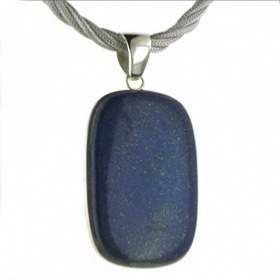 Large lapis lazuli silver pendant. 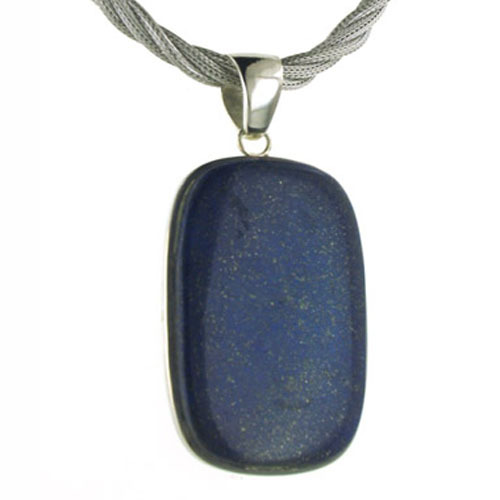 This lapis lazuli pendant features a beautiful stone with rounded corners. 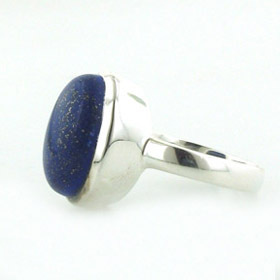 A vivid deep royal blue, the stone is liberally sprinkled with fine gold pyrite which resembles galaxies in outer space! 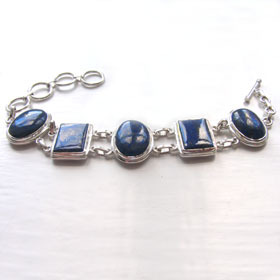 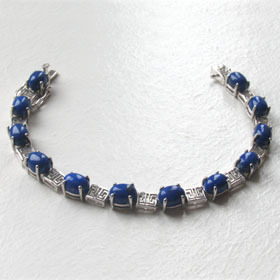 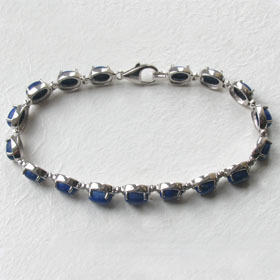 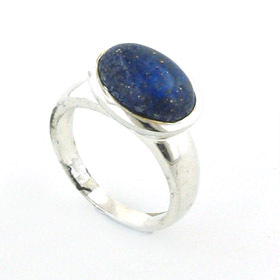 The lapis lazuli gemstone is polished and smooth to the touch. 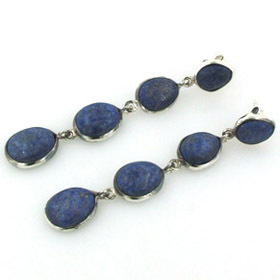 For more information about lapis lazuli see About Gemstones. 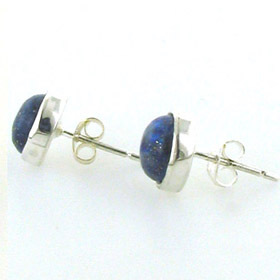 Lapis lazuli is the September birthstones. 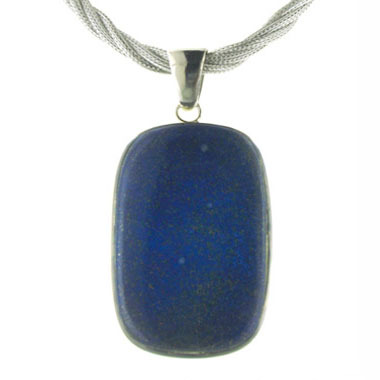 All our lapis lazuli pendants are genuine, natural gemstones. 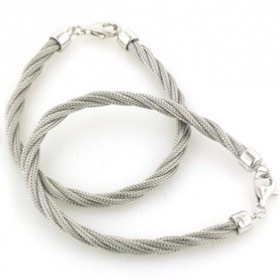 Shown with the pendant is our 7mm twisted mesh rope chain, available in several lengths and with a matching bracelet. 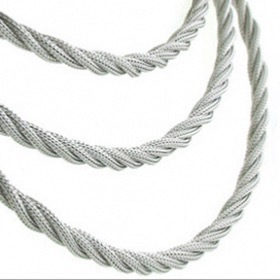 Make your own choice from our collection of silver chains, made in Italy.